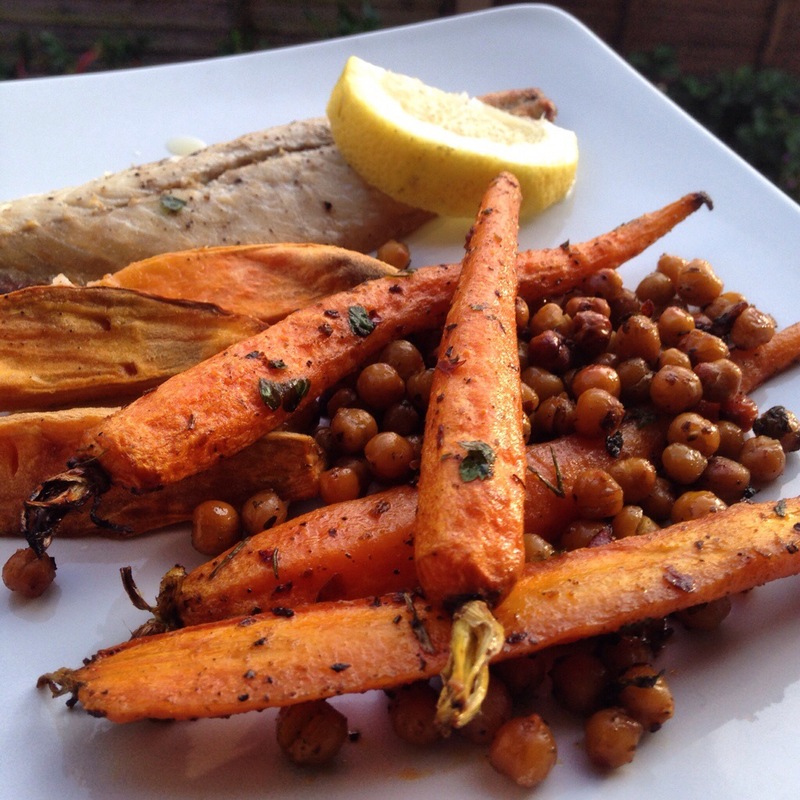 On my first day of the vegetarian week challenge here in the UK I was feeling inspired by some recipes I had seen of roasted chickpeas and wanted to add some veggies to it so I played a bit. 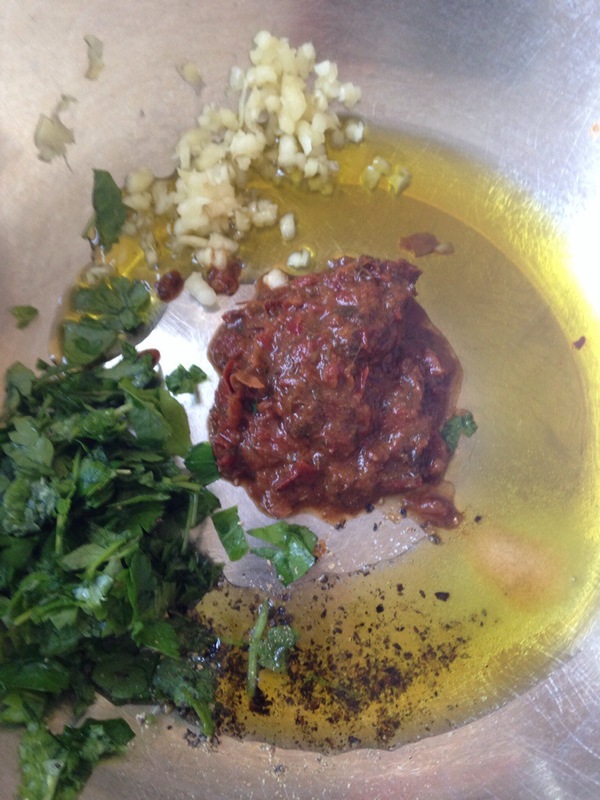 In a large bowl mix Harissa paste, crushed garlic, chopped fresh mint and parsley, good quality olive oil, salt and black pepper. Lay on a large oven tray on a single layer if possible and bake on a preheated oven for about 40 minutes turning half way though cooking. 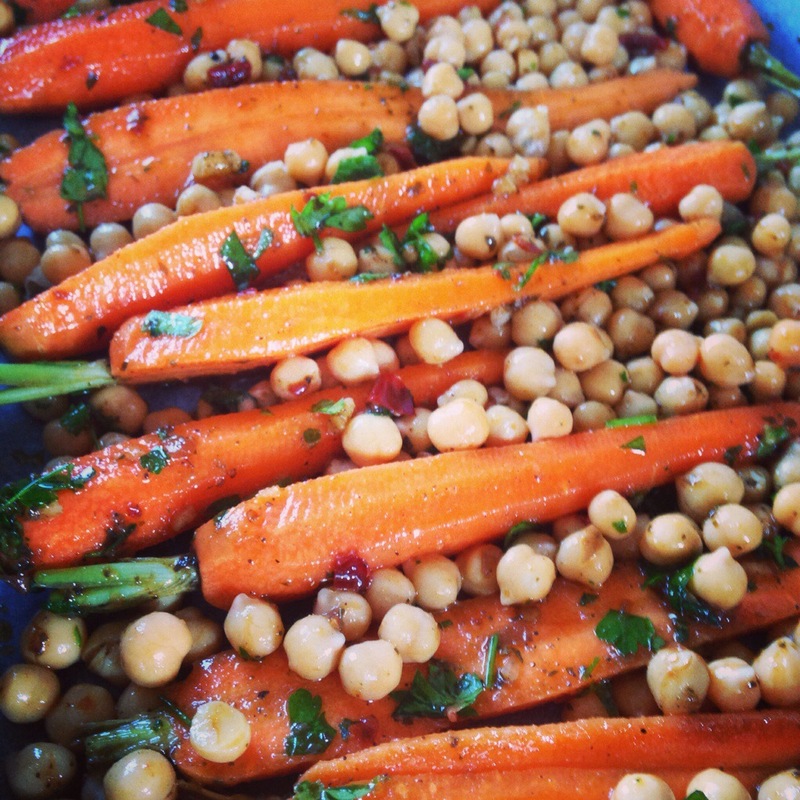 This entry was posted in baking, catering, cooking, eating out, food, health, home, home cooking, juices, kitchen, love, nutrition, snacks, vegan, vegetarian, world food and tagged chickpeas, food, good, harissa, love, vegan, vegetarian. Bookmark the permalink.